A press release issued by the Open Space Alliance for North Brooklyn (OSA) accuses Jelly of having unmet financial obligations that have become a burden to OSA. As such, OSA is pulling their support of Jelly and the August 29 Pool Party featuring Delorean is now cancelled. 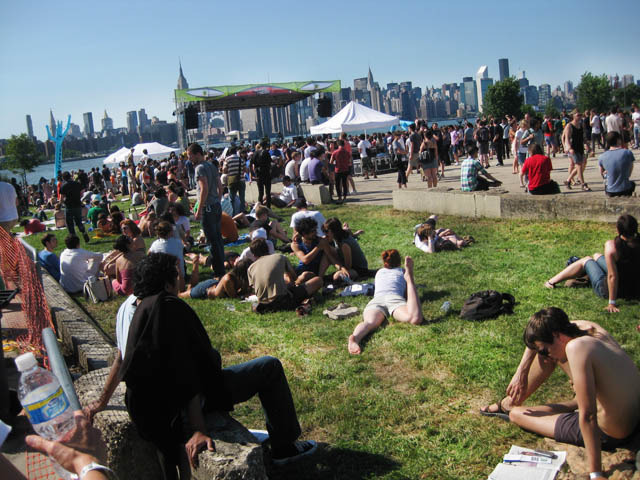 The OSA has been involved with Jelly Pool Parties since 2008 when they served as a go-between for Jelly and the City of New York when the local concert-organizers held the event at McCarren Park. On record, Impose can vouch for Jelly's limitless patience in the face of the finicky bureaucratic wrangling and frustrating obstructionism the successful non-profit has stood for “over the years,” not to mention the oddness of labeling the hundreds of thousands of dollars Jelly sent OSA's ways as “subsidies”. As reported in the past, Jelly needed the assistance of Senator Chuck Schumer to sway OSA and the State to let the free shows continue this year — something he viewed as vital to the community (and we agree). OSA, who claims to be a community-minded organization, has shown an eagerness to use the waterfront space for paid shows through LiveNation / Ticket Master. Within the exorbitant fees they charge for tickets ($40-$60) and “handling” (an additional $10) there is also an OSA fee ($5). Our guess is OSA has been blinded by dollar signs and has grown weary of keeping the space free when it is clearly such a profitable location. We're eager to hear Sarah Hooper's rebuttal, and we urge the thousands of you who have attended and enjoyed any of Jelly's free summer shows to become openly vocal to OSA and denounce this greedy behavior. Remember, before OSA, before Jelly, this was a free and open park, and any forced profiteering is clearly not in the best interest of the community.